Tucked away up in the Highlands, it is the beauty of the area that compels over 25,000 tourists to visit Oban every year. Oban means ‘the little bay’ in Scottish Gaelic, which is a very appropriate name for this little town nestled within the Firth of Lorn. 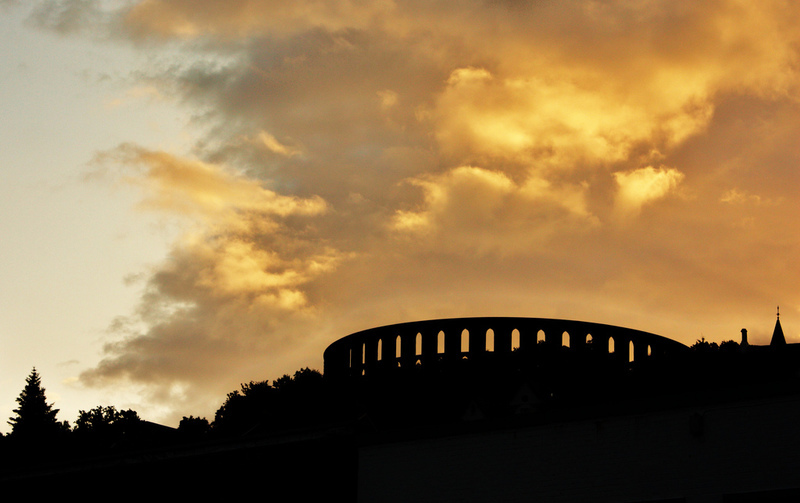 As one of the largest settlements in the area Oban is a great stop off for people touring the Highlands. from Bonaware granite, this classical looking structure is actually only around 130 years old. Often referred to as ‘McCaig’s Folly’ the structure was commissioned by John Stuart McCaig a wealthy philanthropist in the 1800’s. Originally planned to house statues of his family to be commissioned within the walls, as well as a museum and central tower. Unfortunately for the project McCaig died of a heart attack before the project could go any further, ending further construction and leaving the somewhat sombre and ruinous aesthetic that further leads to the structure looking older than it is. The views from the tower are spectacular, allowing you to easily see the whole of Oban as well as a good view over the bay. All in all it’s well worth the short 10 minute hike and, and is certainly a cheaper way of seeing a coliseum than going to Rome! Being situated between Helensburgh and Fort William on a beautiful sublime stretch of coastline, Oban is a great stop off point You can also take the 45 minute ferry over to the isle of Mull, in order to see the sights of the island and perhaps check out it’s Whisky distillery in the town of Tobermory.The stretch of road to the north of Oban is chock full of points of interest, including some beautiful sites but also some bloody battlefields from the past. 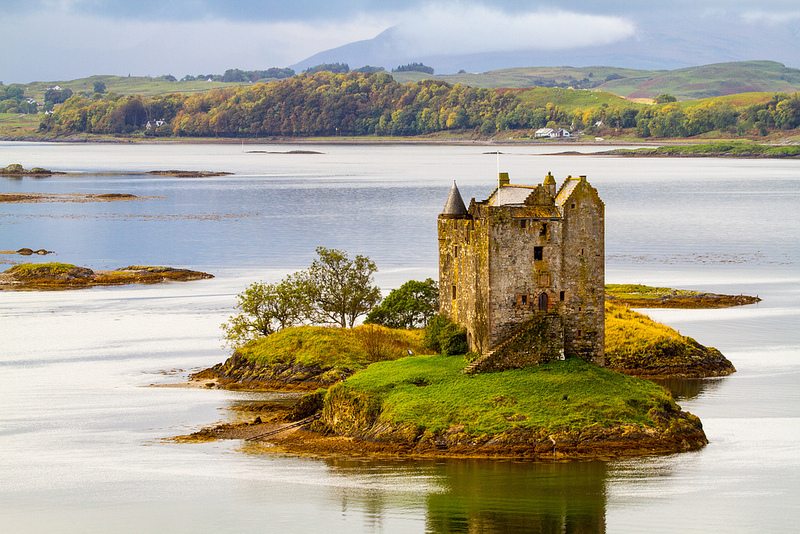 25 miles out of the town is the ominous site of Castle Stalker, a fortification that is only accessible at low tides. The Castle itself is privately owned but it can still be visited (see opening times here) . If getting back to nature with a lovely hike is more your thing, Glasdrum Wood is a beautiful nature reserve just north of Oban. The woodland mainly consists of Ash and Oak and has a spiritually ancient feel to it. Because the trees are so ancient and massive, there is enough space between them for light to break through the canopy, creating an awe inspiring glow at certain times of the day and making it a must do for ramblers visiting the area. Oban harbour itself is both picturesque and fairly busy for such a small remote town, and has been described as the gateway to the western isles. 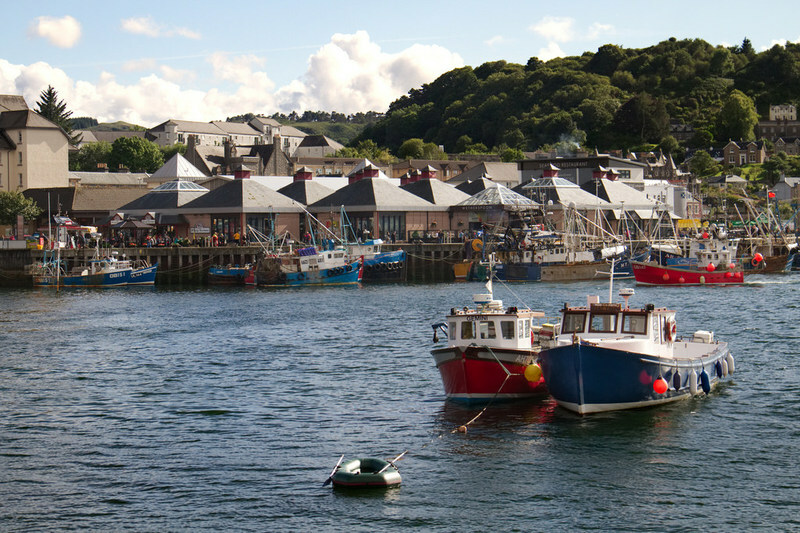 From Oban Harbour you can take the ferry to The Isle of Mull, The second largest island in the Hebrides. The harbour itself is bustling despite its relatively small size with roughly 13000 vessels coming in and out of the harbour annually. The colourful buildings on the waterfront make for some beautiful photo opportunities, especially at times when it is sunny (sunrise/sunset), or when sun is breaking through a cloud. Finding campsites near oban shouldn’t be a problem with the area being a popular destination with those touring argyle and the wider Highlands. The camping and caravan club site is only 20 minutes drive from the centre of town naturally there are discounts for club members and it is always a good idea to contact them ahead of your trip to make sure you have a space. Only a 12 Minute drive from the town, the Oban caravan park is another great option for holidaymakers wanting to pitch up nearby. The park itself is near the sea making for a very nice vista to wake up to every morning! The Sea view caravan and camping park has several facilities that make it a great option. Electric hook ups are included in the price and there are facilities for chemical disposal. In addition to this the gorgeous view of the sea (as you might have guessed from the name) and its attractive 16 minutes drive from Oban makes this site a great option. Could Oban be your next holiday destination? 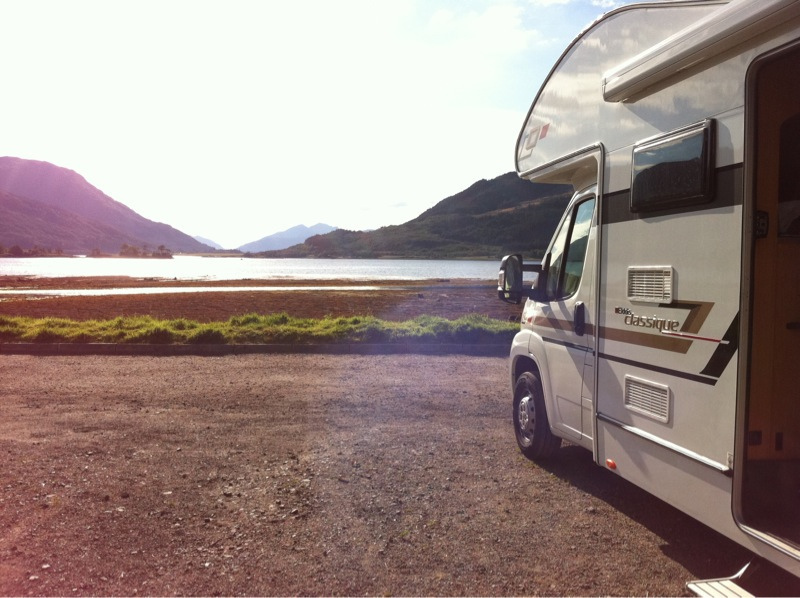 If so you can find plenty of motorhomes in Scotland to get your adventure underway!